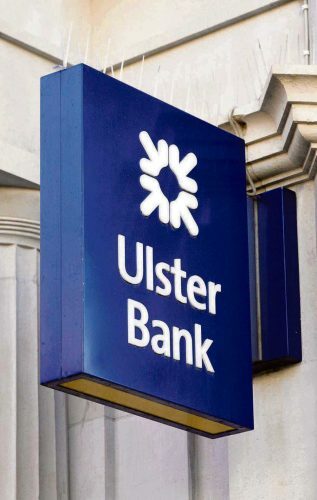 Ulster Bank, whose exposure to Ireland’s property crash badly wounded its parent Royal Bank of Scotland, said last week it is selling off dozens of its Irish loans to vulture funds. It is selling off £2 billion (€2.5Bn)in loans, including 900 mortgages, across Ireland. The portfolio is made up of loans with a face value of 2.1 billion in the Republic and 350 million in Northern Ireland. About 65 per cent of the portfolio is business loans, 23 per cent buy-to-let mortgages and the remaining 12 per cent is made up of owner-occupier mortgages. There are more than 900 owner-occupied homes in the portfolio, representing about 0.5 per cent of Ulster Bank’s mortgage book in the Republic.Of these mortgages, the Bank says, 95 per cent have been in arrears for more than two years and all are in litigation. 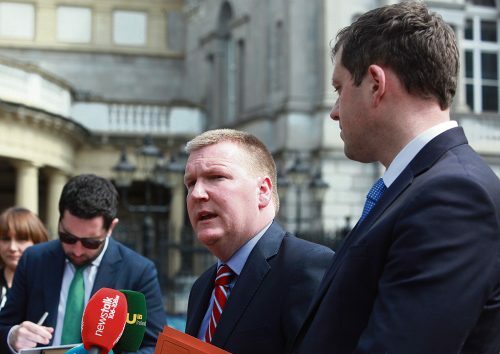 Homelessness campaigners and Ireland’s Opposition party Fianna Fail called on Ireland’s Central Bank and the Fine Gael-led minority government to step in to make sure homeowners were protected in the sale. In a statement the RBS- owned subsidiary said: “Ulster Bank has confirmed a significant impaired loan portfolio sale, enabling the bank to strengthen its balance sheet for the benefit of its customers,” the bank said yesterday. Fianna Fail’s finance spokesman Michael McGrath urged Ireland’s government to tighten legislation governing financial institutions to require them to seek prior approval from the Central Bank before selling residential mortgages. He said: “The decision by Ulster Bank to sell a portfolio of 900 family- home mortgages is very concerning. “We are in a very difficult period where tens of thousands of cases must be dealt with by the banks as part of the mortgage arrears resolution programme. This is affecting families across the country. “Before this move goes ahead, the Central Bank should satisfy itself that the arrangements are fit for purpose. 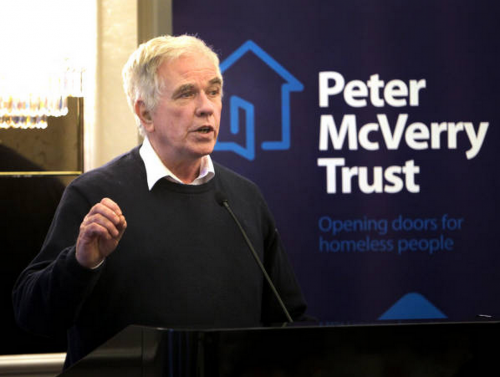 “There is already a provision in the framework governing the state’s investment in AIB and Permanent TSB that prior ministerial approval is required before the sale of loans to the value of Anti-homelessness charity The Peter McVerry Trust called on the Irish government to intervene. Its chief executive Pat Doyle said: “It is imperative that the government now step in to put in place a funding mechanism to acquire these distressed mortgages. “If the government does not prevent these units being sold off to vulture funds then they will be failing to protect the people in these homes. Around 14 per cent of the debt is in Northern Ireland, none of it residential mortgage debt and around 1 per cent of the loans are to Northern Irish farmers and other agri- business. Across Ireland 65 per cent of the loan book is distressed business loans, and the remainder both buy-to-let and owner- occupier mortgages. The bank says it wants to get rid of all its toxic debt or distressed loans and it appointed PwC to seek buyers for the loan package as either a single package or broken up. The banks’ debtors will have no idea that their loans have been sold to a vulture fund until the sale to a hedge fund or hedge funds has closed. Hedge funds do not provide banking facilities and are solely concerned with getting the best return on their purchase. David Hall of the Irish Mortgage Holders’ Organisation said other banks are now likely to follow Ulster Bank in selling off legacy debt. Correspondents who are covering the story were told that around 95 per cent of the 900 home loans being sold are two years or more in arrears on repayments, and all are already subject to court action by the bank to repossess their home.